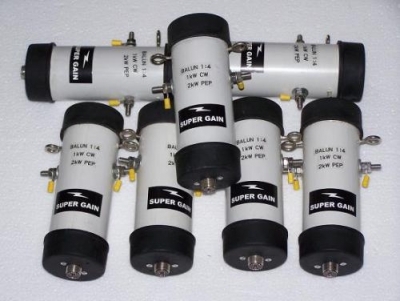 The SuperGain 4:1 assembled 4:1 balun is designed to allow easy interface of ladder line antennas and Dipole. The Balun operates "stand alone", thus does not require a Tuner. It may be used with for many of your long, random, or ladder line antenna projects. Frequency Coverage: 1.8 to 30 MHz.